Share your room URL so your students can join quickly! 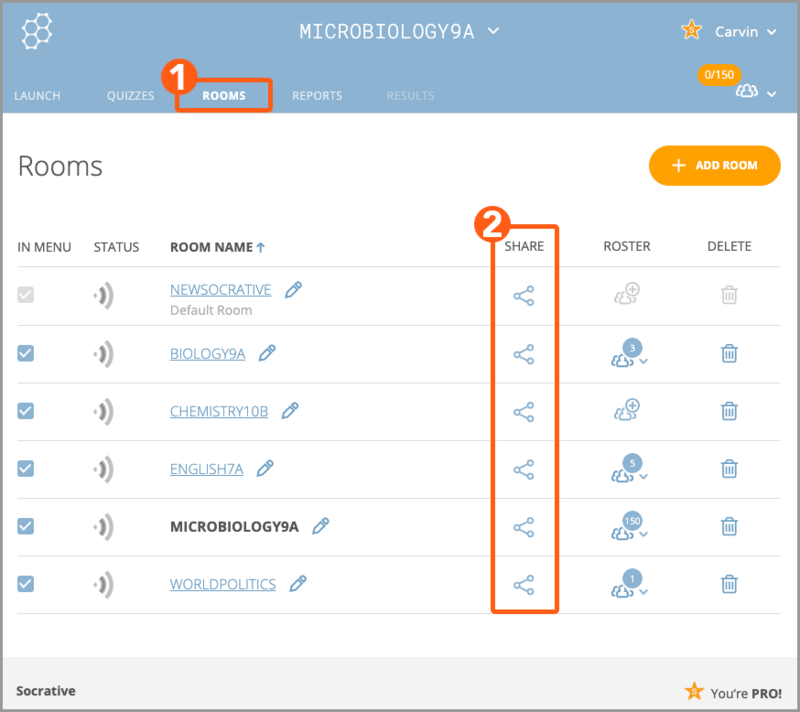 In Socrative Pro, you can give your students direct access to a room by copying and sharing the room URL with them. Socrative generates a room URL that is as short as possible, unique, non-reusable, and not easily guessed. Please keep in mind, sharing your room URL with students is a Pro feature only. If you're using the Basic version, you'll get a message about Pro and you won't be able to share the room URL. To have your students join, share your room name instead. Your room name is at the top while you're logged into the app. Use this guide to help your students login using the Basic version. Click on the Copy button to copy it to your clipboard! You can now share the copied URL with your students so they can join directly to your room! You can also create a different Room URL by clicking Generate New. This will expire the current URL and cannot be used.